Personal injury cases were fairly simple in years past. In October 2011 however, a new law (Billed vs. Paid) enacted means that things are no longer as simple as they used to be. Looking to find out what your personal injury case is worth? 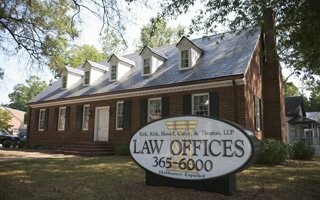 Find out here what your case is worth and how 30+ years of Noth Carolina Law experience can help! Why Won’t Workers’ Comp Pay For My Medical Treatment? What Jane had not understood was that the Workers’ Comp carrier had filed an answer to her notice of accident with the North Carolina Industrial Commission and accepted her wrist injury but had only agreed to pay for her back treatment without prejudice to their right to decline to accept that injury as part of her claim. You have been hurt in an automobile accident and it is not your fault. What are you entitled to recover? Making a successful claim arising from what the law calls a “premises liability case” that is more commonly referred to as a “slip and fall case” in North Carolina is not an easy task. Am I Entitled To Vehicle Loss Of Value After An Accident? If a vehicle is a North Carolina insured vehicle that has been repaired and the repairs exceed 25% of its value, North Carolina law requires that the collision be reported on your motor vehicle title. What is the amount of Uninsured and Underinsured Motorist Coverage on the vehicles in your household? Your answer to that question could turn out to be one of the most important to your family’s financial future. If you are in need of a personal injury attorney in Raleigh, here are some important questions to ask so you know you have chosen the best personal injury lawyer for your case.